Flipkart has begun its four-day Big Shopping Days sale with deals and discounts across various product categories. From popular smartphone brands, accessories, cameras to gaming consoles, users can grab these consumer electronics products at a discounted price during the sale. Flipkart is providing instant discount, extended warranties, and cashback offer on select products. Users who have SBI credit cards can get 10 per cent instant discount (up to Rs 1750). The offer is applicable across all categories; however, prospective buyers will have to make a minimum cart value of Rs 4999. Flipkart further mentions that the user should check the SBI offer listed on the product page, before making the purchase. Flipkart top deals on accessories include offers on Google Home, Skullcandy headphone, SanDisk on-the-go pen drives and more. In this article, we have compiled some of the best deals on accessories from Flipkart Big Shopping Days sale. Sennheiser CX213 in-ear headphone can be bought at a discount price of Rs 699 against the listed of Rs 1299 on Flipkart. This in-ear sweat-proof headphones from Sennheiser feature a finger-contoured housing design and offer good bass and treble in stereo. JBL C150Si earphone gets a discount of up to Rs 700 and it is available at an offer price of Rs 699 in the Flipkart sale. Axis Bank Buzz Credit card users can further avail a 5 percent discount on the JBL in-earphone. The lightweight JBL C150SI earphones feature 9mm drivers to deliver good bass and offers three ear tips to provide comfortable fit while listening. 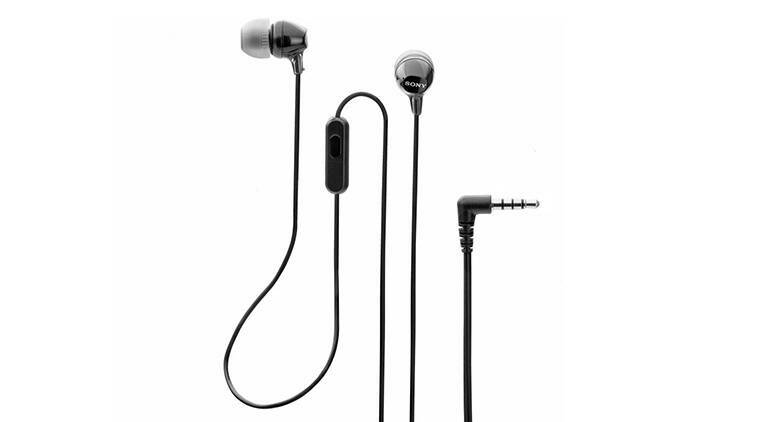 Skullcandy Jib earphones get a discount of up to 49 per cent and can be grabbed at an offer price of Rs 500. Skullcandy Jib earphones are available in three colour options- Black, Blue and White. However, users will have to spend Rs 49 and Rs 149 extra if they wish to purchase the Blue version (which is available for Rs 549) or the White version (available at a discount price of Rs 649). Flipkart is offering a discount of up to 61 per cent on the Sony MDR-EX14AP in-the-ear headphones. The in-the-ear headphones from Sony can be purchased at a discount price of Rs 500 in the Flipkart Big Shopping Days 2018 sale. The Sony MDR-EX14AP earphones feature 9mm neodymium drivers to deliver rich sound and comes with silicone earbud to offer a comfortable fit. SoundBot SB572 Bluetooth Speaker gets a massive 74 percent off in the Flipkart Big Shopping Days sale. The e-retailer is providing the portable SounBot speaker at a discount price of Rs 999 against the listed price of Rs 3,990. SoundBot SB572 Bluetooth speaker features 52mm drivers to deliver good bass. It comes with Bluetooth version 4.0 for wireless connectivity. Blaupunkt BT-01 BL 3W Portable speaker can be bought at an offer price of Rs 899 in the Flipkart sale. The lightweight portable speaker from Blaupunkt comes with multi-connectivity options like FM, AUX-In, TF Card and Bluetooth to allow experiencing immersive audio. Lenovo 10400mAh Power Bank gets a massive 72 per cent off and can be purchased at a discount price of Rs 699 in this Flipkart sale. The Lenovo Power Bank features two USB connecting ports, enabling two devices to charge simultaneously. Intex 15000mAh Power Bank can be grabbed at an offer price of Rs 1,099 on Flipkart. Packed with a 15000mAh Li-ion battery, this power bank from Intex comes with three USB ports.